General knowledge questions Date Wise 09-01-2018 GK question With the answer, GK for like Rajasthan police New Exam Date 2017. 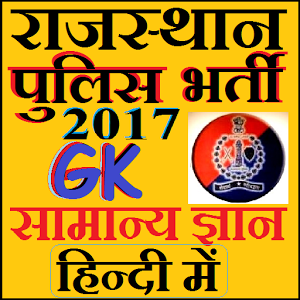 And Rajasthan police exam Admit Card And Syllabus 2017 and SSC MTS SSC CGL SCC CPO SI Gram sewak, GK Quiz in hindi, And Rajasthan GK for all competition exams, Railway GK Police, CRPF GK, GK for Public service commission, Govt Jobs GK, GK for IAS RAS IPS, India GK, Science GK, Social Science GK, History GK, Chemistry GK, Maths GK, Reasoning GK, GK for competitive exams, computer GK, current affairs, current GK, world GK, Geography GK, RRB GK, RPSC GK,And All subject Wise Notes and Math, Hindi, English, History, Political Science, Psychology, Sanskrit Related Study material. Question (1) How many years did the civil war last in England? इंगलैण्ड में गृहयुद्ध कितने वर्षों तक चला था? Question (2) The place of Lok Devata Gogaji is generally planted under which tree? लोक देवता गोगाजी का थान सामान्यतः किस पेड़ के नीचे लगाया जाता है? Question (3) Where is the desert forest research center located? मरुस्थल वनरोपण शोध केन्द्र कहाँ स्थित है? Question (4) who is the protector of the forests Amar Shaheed in Rajasthan? वनों की रक्षा के लिए राजस्थान की अमर शहीद महिला कौन है? Question (5) which category are the important forests preventing soil erosion and climate change? मृदा के कटाव को रोकने और जलवायु की दृष्टि से महत्त्वपूर्ण वनों को किस श्रेणी में रखा जाता है? Question (6) which district is concentrated Sagwan tree? सागवान के वृक्ष किस जिले में संकेंद्रित हैं? Question (7) Which of these trees meets the largest number of trees in Rajasthan’s forests? राजस्थान के वनों में सर्वाधिक वृक्ष किस प्रजाति के मिलते हैं? Question (8). What is the maximum damage to vegetation in Western Rajasthan? पश्चिमी राजस्थान में वनस्पति को सर्वाधिक नुकसान किन पशुओं से होता है? Question (9) Where is Darra Vanya Jeev Abhyaranya Located? दर्रा वन्य जीव अभयारण्य कहाँ स्थित है? Question (10) Great Indian Bustard (Godawan bird) is found in which of these regions of Rajasthan? गोडावण पक्षी राजस्थान के किस क्षेत्र में पाया जाता है?